The Living Room… the space your friends gather on game night, you curl up with a good book, or your family hangs out watching movies. Your living room is where you spend a part of each day — so make it a great place to relax and get comfortable, while at the same time suits your style and fulfills your needs. Everyone has a different idea of what their living space should feel and look like. A family of four with a dog will have a different need than a young couple in a loft apartment. The important thing is to recognize what the room should do functionally and let us help you create that perfect space. Whether you have a Craftsman Bungalow or a Victorian house, we have various styles of sofas, chairs, rugs and occasional tables from which to choose. 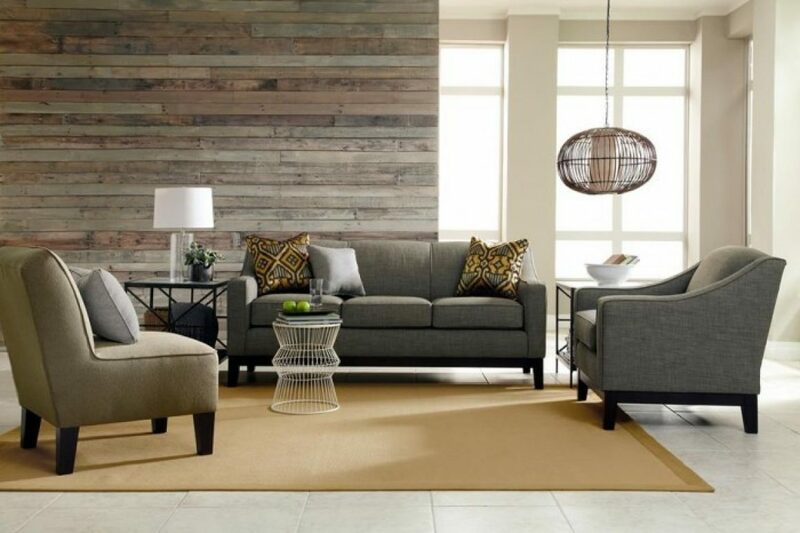 A great sofa should help set the mood for your room. First, think of how you’ll use your sofa. Will you sit on it every day? Would you use it mainly for entertaining guests? Do you tend to lounge and sink into the sofa while watching TV or do you prefer to sit up on a tighter, more fitted back? We have over 100 sofas styles to choose from: with different sizes, configurations, arm shapes and heights, and comfort level, we are sure you’ll find the perfect one in which to sit back and relax. The real fun begins when choosing the fabric — with over a 1000 fabrics in different colors and textures, your sofa will make a statement in your living space.